Dr Bill Hay has worked as a Lecturer at Glasgow Caledonian University (GCU) for three years and has contributed primarily to the Fire Risk Engineering programme, as well as the Building Surveying and Construction Management programmes. 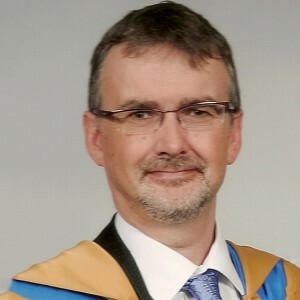 Currently he is module leader on a number of the fire specific modules at GCU, as well as being an external examiner on the Fire Engineering Programme at the University of South Wales. His research interests relate to the fire resistance of combustible constructions; a topic which formed the basis of his PhD thesis as well as subsequent conference publications. Prior to joining GCU, Bill worked for 25 years in Local Authority Building Standards for both Falkirk and Stirling Councils, laterally as a senior surveyor. Over the course of his career he has been involved with all types and sizes of construction projects; one of the largest being the new Forth Valley Hospital at Larbert. In 2009, he graduated from GCU with a First Class Honours Degree in Fire Risk Engineering, after studying as a part-time student. This qualification led to the opportunity to undertake a subsequent PhD, again on a part-time basis, which was successfully completed in 2015. Bill is a full member of the Institution of Fire Engineers and the Chartered Association of Building Engineers.